“Grace Kelly; Harlow, Jean. Picture of a beauty queen. Gene Kelly, Fred Astaire, Ginger Rodgers, dance on air. They had style, they had grace. Rita Hayworth gave good face. Lauren, Katherine, Lana too, Bette Davis, we love you.” Madonna had it right, these ladies and gents from the golden age of Hollywood were extremely glamorous. Even to this day, their vintage style still inspires fashion and beauty. As much as I love modern fashion and a good pair of jeans, I often dream about what it’d be like to dress like Marilyn Monroe or Elizabeth Taylor. While this isn’t really an option, I can indulge my glamorous side with the British brand known as Vintage Cosmetics. Inspired by the glamour and charm of the 50s, Vintage Cosmetics products pay tribute to the past while also meeting the needs of today’s women. Each item they design is affordable, elegant and effective. I first discovered Vintage Cosmetics while perusing the beauty selection at TJ Maxx. As I was looking for some great deals I noticed this cute little box featuring a floral and polka-dot design. I was intrigued by the packaging and by the product inside…the Brush Cleaning Tool. This amazing, pocket sized goodie is designed to help you keep your makeup brushes in “tip-top condition”. The Brush Cleaning Tool offers two different cleaning texture options. 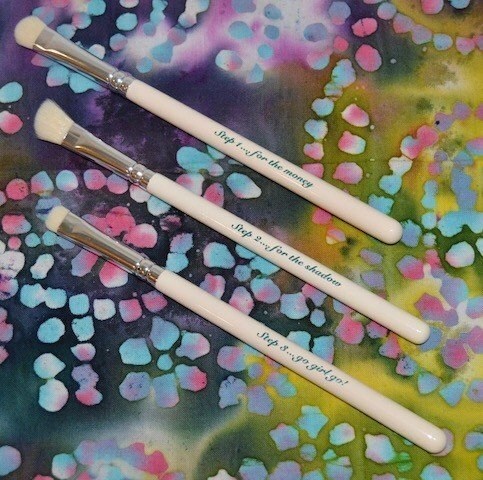 The ridges can be used for larger brushes, while the bobbles are ideal for smaller brushes. I tend to use a mix of both, especially when cleaning my eye brushes. Not only is the tool highly effective, it’s also very affordable. Next to my Dr. Bronner’s soap, the Brush Cleaning Tool is my go to for brush cleaning days. I will be gifting my extra Brush Cleaning Tool, which Vintage Cosmetics was kind enough to send me, to my sister. She called dibs after I told her how amazing it was. 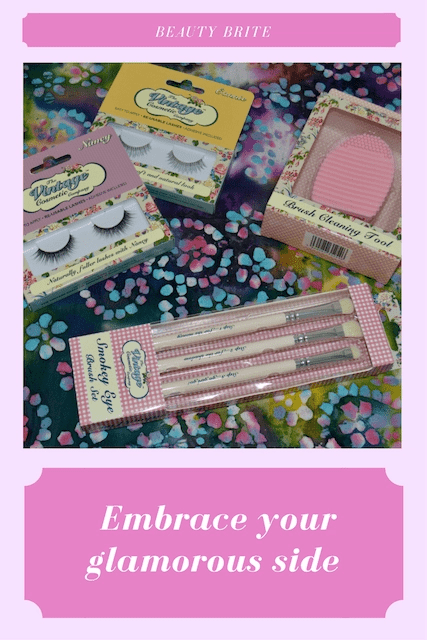 Also included in my Vintage Cosmetics goodie box was the Smokey Eye Brush Set and two pairs of their Re-Usable Lashes. As far as I’m concerned, you can never have enough eye makeup brushes. I’m excited to have this adorable and well-crafted trio to add to my collection. I’ve used the Smokey Eye Brush Set to create a myriad of looks, from smoky to classic (picts below). The bristles are dense, yet flexible. They’re also soft, yet firm, and make application and blending a smooth process. I use Step One…for the money for applying color to my lids and inner corners. Step two…for the shadow is the perfect crease brush for adding darker colors or my transition shades. Finally, Step Three…go girl go helps me blend my look together. It also works great for applying shadow underneath my lower lashline for that perfect smoky effect. 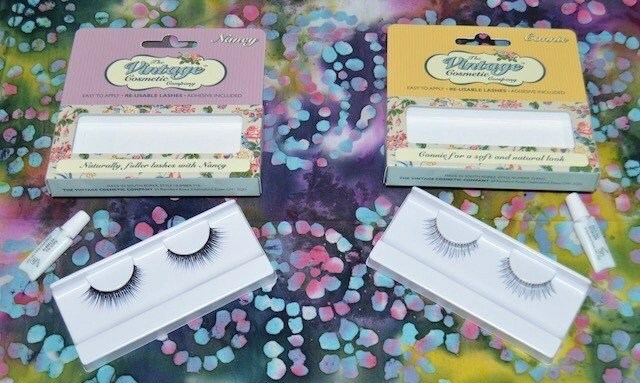 As I mentioned above, Vintage Cosmetics also sent me their Re-Usable Lashes in Nancy and Connie. I was a little apprehensive about using fake lashes, as I’ve never tried them before. I have a bit of an eye thing/phobia, whatever you want to call it. I can’t even watch videos where people tight-line their eyes because it grosses me out. I know, I’m a freak. However, I was determined to give these lashes a try. I am pleasantly surprised to reveal that applying and wearing falsies isn’t so bad. I decided to give Nancy a go first. These lashes are designed to add volume and length. I cut the lashes to the right length, added some of the included adhesive, and followed the instructions for application. It took a little finessing, but I was able to get Nancy in place. Not too bad for a first timer. I used the same procedures to tryout the Connie lashes. Connie features a crossed knot design which gives a soft, natural, voluminous look to the eye. Of the two lashes, Connie is my favorite. They feel lighter on my eye and give me volume without being too overpowering. While the Nancy lashes also look nice, I can definitely feel them when I’m wearing them. I also think they might be a little too intense for my small eyes. I don’t know how often I will wear false lashes, but I’m glad to have these two options in my makeup arsenal. What are your favorite vintage looks? How often do wear false lashes? 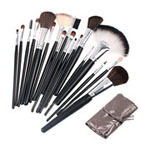 I don’t wear makeup, so I really didn;t have any idea that brushes needed to be cleaned. I would have just thrown them away and bought new ones lol. I hadn’t heard of this brand before, but it looks like they have some good products. The brush cleaner looks awesome! I have never worn false eyelashes, but the only makeup I do wear is mascara so I’m not against them. Just haven’t experimented! I don’t wear false eyelashes, but since finishing my chemo, I have grown a beautiful set of eyelashes!! Woo hoo! I was considering it though. I love the way these look. I’d love to try out the makeup brush cleaner. Looks fab! These are great products. I’m definitely interested in the brush cleaning products, I could really use new ones! Thanks for sharing your experience with them! I have always wanted to try that brush cleaner. It looks so great and I love having clean brushes! That make up brush cleaner is brilliant! I was just thinking today that my brushes need to be cleaned or replaced. Connie does look really nice. I have been obsessed with the false eyelash look because my eyes water a lot and seem to get irritated from mascara. Thanks for the tip. The Connie lashes are really nice! I think that’s perfect for everyday use! The make up brush cleaner is a must have too! My husband says I have too many makeup brushes, so I told him he had too many tools in the garage! lol I think we can’t have too many , and these are so pretty. I’m in love with those makeup brushes! I’m sure I have at least a hundred by now but they look so pretty! I need that brush cleaning tool in my life! I never use the brushes or pads that come with my cosmetics. And I always find that I’m cleaning my brushes, so this is great! Those are great brushes. I loved both Nancy and Connie but I think it was that those eyes were just so pretty that any lashes would look good. I never used false lashes before but I’d like to try someday just to see how they look on me! I definitely want something that looks beautiful and natural too. I wish I wore make up more, I REALLY dont. If I did I would for sure be embracing my glamorous side and trying out some really great brushes like these! I am actually getting ready to buy a brush cleaning set. Thanks for your review of this one. I need that brush cleaning tool in my life. It’s such a handy little tool and so affordable. I would totally love to try those false eyelashes. 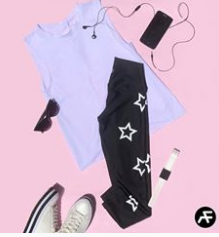 They look awesome on you! ooo I love the idea of a brush cleaner, mine are awful and it takes so much faff! Yes It is really important to clean our makeup brushes especially for the eye makeups. I read a news about a woman who got severe allergies because of her dirty brushes. Ooh I love the little make up brush cleaner! I need one of those because I don’t wash mine as often as I should! 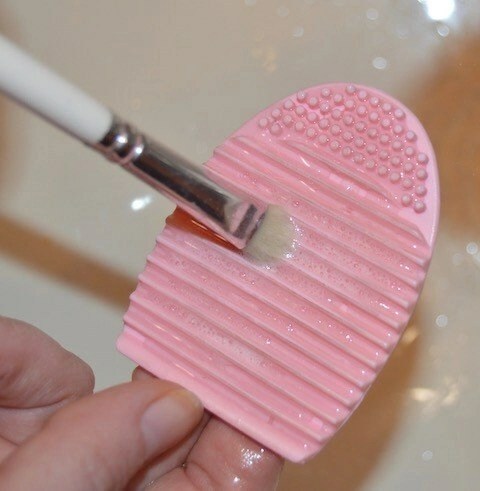 I love the idea of having a product like this one to help keep my makeup brushes clean. It would make my life so much easier. 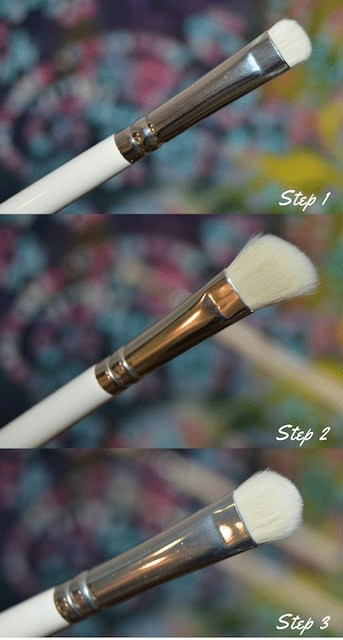 super important to clean your brushes! I always try to remind people that! I do need a makeup brush cleaner though! I need to clean my brushes, this post reminded me ha! I go through stages of always wearing falsies and never wearing them.